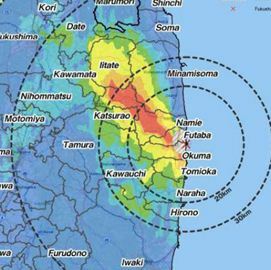 TEPCO has provided more information on the exact location and nature of these radiation readings provided to the press late last week. The high reading originally ascribed to the pedestal opening is actually part way down the CRD rail and slightly above it, putting it in the containment structure. They also identify the 50 sievert reading as actually being 30 sieverts and roughly in the same location as the 72.9 sievert reading from 2012. 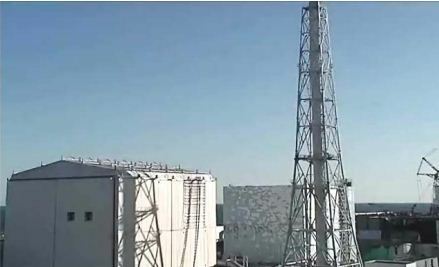 TEPCO also confirms that all of these new readings are only camera based estimates. The reading in the pedestal opening was the lowest at 20 sieverts. This is in the region where corium residue was found along with a hole melted in the metal floor grate. The diagram below shows the reading locations using a number and the list to the upper left shows the corresponding number with the radiation estimate for that location. This 530 sievert reading that has caused so much commotion seems a bit of an anomaly. All of these new readings were taken with the scope camera and could be subject to error. The lowest reading being in the pedestal where melted fuel and a hole in the floor grate were found is unusual and unexpected. 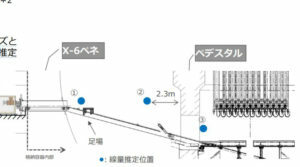 TEPCO & IRID appear to understand this and have developed a new plan that appears to be ready to resolve this question. It appears the focus now may be to put the Scorpion robot onto the CRD rail to take readings. There has not been confirmation that they still plan to put it into the pedestal region as originally planned. The pedestal floor grate being heavily damaged and covered in what appears to be melted fuel and other materials may make it impossible to drive the robot in that area. This CRD focused work would allow Scorpion to both take images in multiple directions and use the on board radiation sensor to take accurate radiation readings along the rail. Those readings would confirm or rule out the estimates taken with a camera. It should also be able to confirm if there is a high radiation location along the CRD rail near where this 530 sievert estimate was made. 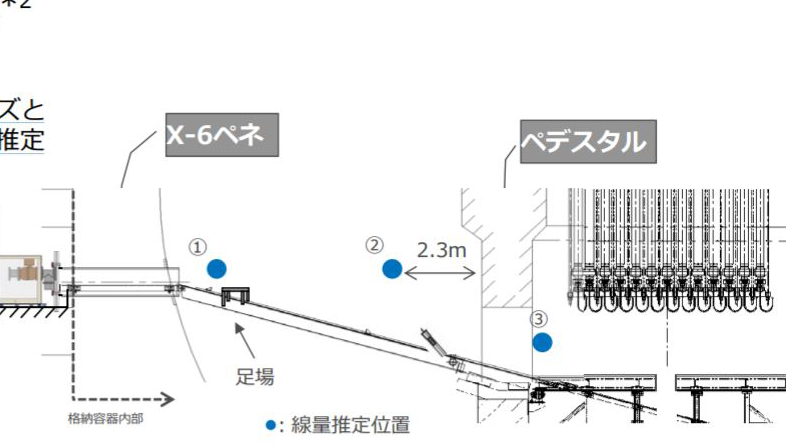 The new plan to clean the CRD rail can be seen in the diagram below. 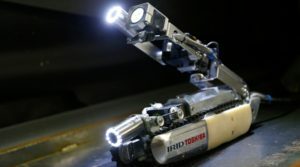 It is worth noting that TEPCO/IRID stated that the Scorpion robot can only operate for 2 hours in a high radiation area of 530 sieverts. If the levels are more along the planned radiation levels of 72 sieverts, the robot would have 10 hours of operational time. The new readings minus the 530 reading seem to indicate lower radiation levels. If this is true they may be able to operate the Scorpion robot for both a mission on the CRD rail and a limited mission into the damaged pedestal. TEPCO/IRID have not set a date for this work. It should be possible to do it relatively soon as it doesn’t require significant additional planning.